This is part six of a series of posts discussing various aspects of a bike trip I did across the United States in 2012. Part one discussed the start of the trip and choosing a route. Part two discussed my daily routine and nightly shelter. Part three discussed general mileage, elevation encountered, and state-by-state scenery. Part four discussed mileage extremes and water. Part five discussed food. This post discusses the elevation and ascents I encountered, particularly how I traversed Monarch Pass. 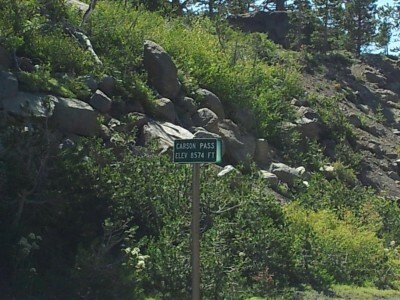 The first elevation extreme, Carson Pass, was perhaps the hardest: not for its height, which is only mid-8000s feet, but for its earliness and the length of the ascent. A gradual ascent, but still a long, energy-sapping ascent. Approaching it later in the trip, I’d probably have found it easier. Kentucky and Virginia had the steepest ascents: never ascending particularly far, but lasting long enough that reaching the top was a relief. If someone wanted to do hill training, setting aside high-altitude benefits, he’d likely be better off training in the Appalachians than in the western states, surprisingly. Colorado reached the highest elevation of any state. Passing over the highest point at the Continental Divide was possibly the best, and stupidest, part of the entire trip. As usual, I started biking late that morning, and by early afternoon I’d only covered about 40mi. But then I turned it on, reaching the base of the climb to Monarch Pass at 18:15 at ~90mi. From here it was only 10.5mi/2800ft to a tourist store with snacks at the top, then a few miles’ descent to a turnoff to Monarch Campground where I planned to stop. The store closed at 20:00, but if I kept moving I could reach the top before then. Everything went well with this plan until around 19:00, when it began to rain. Rain is an excellent way to cool down. But in cloudy weather at 10000ft in chill temperatures, it was the last thing I wanted. I didn’t have warm clothes, only the arm warmers I wore constantly (mostly for sun protection), cycling jersey and shorts, and leg warmers if I’d taken the time to put them on (can’t remember if I did — I think I decided that stopping and putting them on, when the rain started, would leave me worse off than continuing to bike would). What to do? It really wasn’t a choice: I had to keep shivering my way to the store before it closed. I reached the top around 19:52, comfortably just in time, and immediately went inside to snack and warm up. I was doubtless now hypothermic. But between warmth and food, I’d be fine. I got a hot chocolate, a quarter pound of fudge (okay, four ounces, but they sold it as a quarter pound! ), and — this was the worst idea in the world, but I’m a sucker for the flavor, so I had to have some — a small cone of peppermint ice cream. After consuming those while slowly warming up, I headed back outside — it was now completely dark and still raining — and began the bike ride down to the campground. The trip down was dangerous, putting it mildly. The descent was steep and thoroughly wet from the rain. And while I had lights, I also didn’t have very good motor control through my cycling gloves in the cold. I knew I would quickly return to hypothermia, and my hands would only get worse. If I fell or something happened, I was going to be in very deep trouble. So I took it very slow, braking every second or so to not gain speed. I could not afford to crash. After some period of time between five and twenty minutes, I saw signs for the turnoff to the campground and took it. 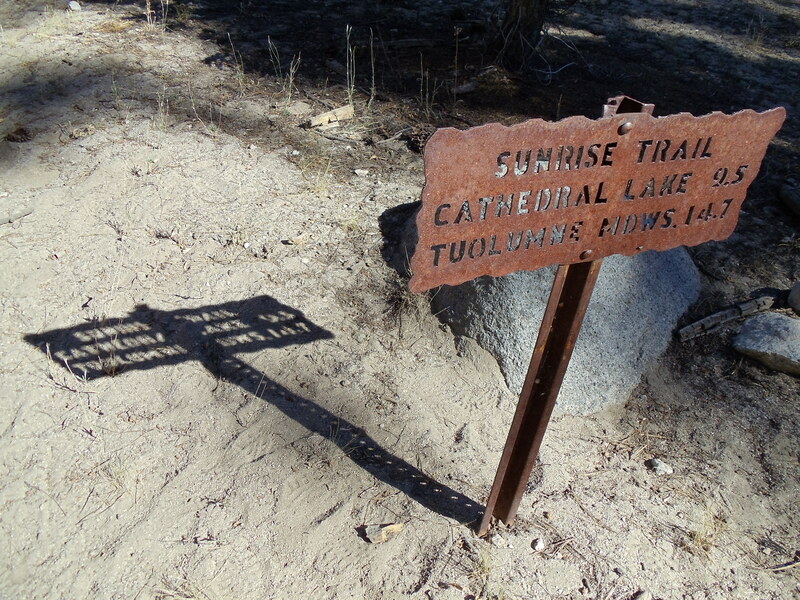 I proceeded down the road maybe a couple thousand feet without seeing signs for the campground, so I started to worry. Was I on the right road? I was, but I wasn’t sure enough to go too far down it without being certain, so I returned to US-50 and continued to descend. (I knew I had options further down US-50 if that turnoff was the one I wanted.) By this point I was definitely back into hypothermia, and I knew that I was unquestionably staying at the very first place I saw. A short time later I reached Monarch Lodge, where I rolled my bike up, leaned it against an outside wall, and went in and asked mumbled to ask if they had rooms. They did and pointed me to the hot tub and sauna as I obviously needed to warm up. (I was sufficiently cold that the typically-cool pool at the motel actually felt warm when I jumped in it before jumping into the hot tub.) I quickly made use of them and returned to normal body temperature. Next time, down time and keeping electronics charged.